Japanese Prime Minister Shinzo Abe has condemned Russia’s deployment of missile systems on islands in the western Pacific isles that are also claimed by Tokyo. Abe described the deployment as “regrettable”. 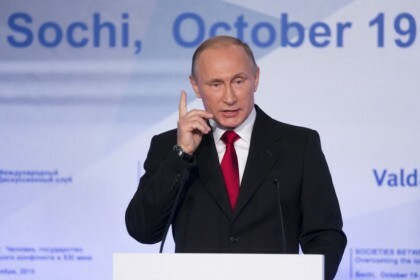 This is coming barely one month to the visit of Russian President, Vladimir Putin is to visit Japan for talks aimed at progress on the decades-old territorial row. Russian media announced that that Bastion and Bal anti-ship missile systems were now in operation on the islands which has Japan and Russia have both claimed for over 70 years. Moscow has already said it hoped the deployment would not damage efforts to settle the dispute. The feud over the islands, called the southern Kuriles in Russia and the Northern Territories in Japan, has kept Tokyo and Moscow from signing a peace treaty to formally end World War Two. “The four islands are our country’s inherent territory. We have conveyed through diplomatic routes that this … is not compatible with our country’s position and is regrettable,” Abe told parliament’s upper house. Delicate diplomacy is underway to prepare for the meeting between the Russian and Japanese leaders in Japan on Dec. 15-16. Both sides have said they hoped progress could be made towards settling the dispute.